The production of rapeseed oil is the most important in the oil industry; by utilizing the seeds a company or a person is able to get well refined oil that has to go certain steps in order to suit the market. The process involves extraction of oil from the seeds. Rapeseed oil production process is the third in production of vegetables oils. It has also been ranked among the best in the production of protein. 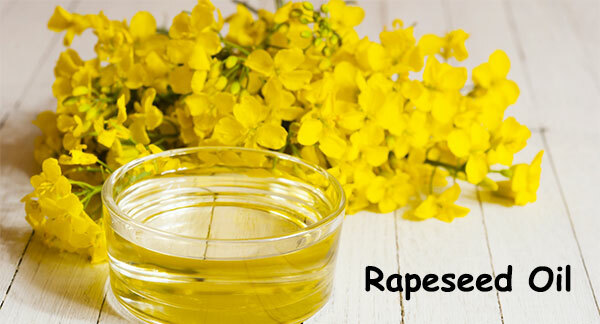 Here are the 4 main processes that are involved in having oil extracted from rapeseeds. This is the process where the seeds are prepared for extraction of oil; the process utilizes energy to rapture or make the walls of the seeds weak. This energy can be obtained through mechanical way by grinding, breaking, rolling, pelleting and pressing the seeds. You can also use thermal energy using hydraulic oil press to break the cells of the seeds. This rapeseed oil production equipment is used to produce energy that helps in reducing viscosity in the seeds and adjusting the content of moisture in the seeds. This process serves the purpose of removing fiber and other pigments which can low the value of the final product. It involves dehulling, cooking, and separating the hulls. However, you are required to cook the rapeseed for up to 10 to 15 minutes. It is approximated that at this temperature the seeds will reach moisture content. There are also scenarios that the temperatures can be raised up to 200 but the quality of oil and moisture content will not be affected. The disc mill is the equipment that performs all the process but you must have it regulated at all times. The disc spacing and rotation speed helps in drying the seeds but it can also be used with sulfur compound to achieve maximum results. This process can be achieved through seed cleaning equipments that consist of screening to remove any oversized particles. Flaking includes rupturing the rapeseeds to allow oil to get in the flake and then they are cooked at 75 to 85 temperatures in the roasting equipment. Then they are passed through screw pressing, in which screw oil press equipment is used to press the small flakes into sizeable particles. The seeds are then passed in the hexane for further extraction of oil, later they are taken to desolventizing to remove hexane and then they are further purified in the distillation and then finally in the degumming. The crude oil has to be refined to obtain high quality standards; the natural impurities like water, dirt, fatty acids, matter and color are removed through the following refining processes; drying, bleaching, neutralization, deodorization and degumming. Bleaching is used to remove color in the rapeseeds and in deodorization; the seeds are taken through vacuum tube equipment to remove traces that might bring bad odor to oil. The fatty acids in the oil are neutralized by alkali solutions. Finally the manufacture can add food addictives to make the oil more quality. The addictives are also used to maintain the quality of the oil when it is being transported. Technologically Anyang Best Complete Machinery Engineering Co., Ltd (ABC Machinery) is a licensed international engineering company that is mostly involved in the production of varies vegetable oils for edible uses. Choose we ABC Machienry, and we will give our best to support you in your oil production for rapeseeds oil.